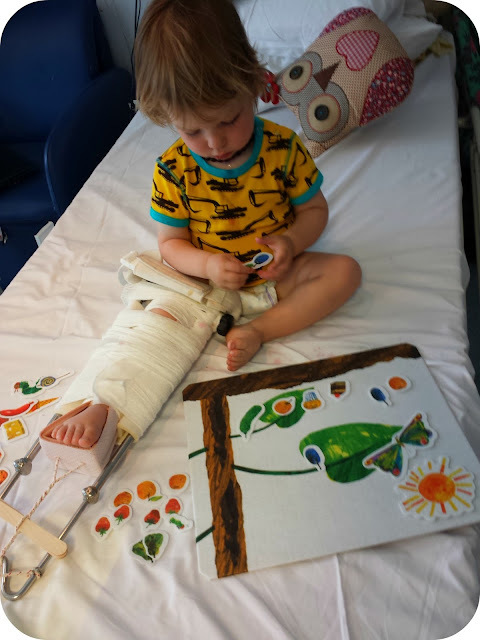 There is no worse place to spend the summer than in hospital and being stuck in with two under twos, one of which had a broken leg in traction was challenging! I couldn't have survived with a smile still on my face without the amazing support I had from family and friends and I am so grateful for everyone who sent thoughts or gifts and who came to visit us. I thought I would share the things that helped Dylan cope with 4 weeks of bedrest, a toddler's survival kit! 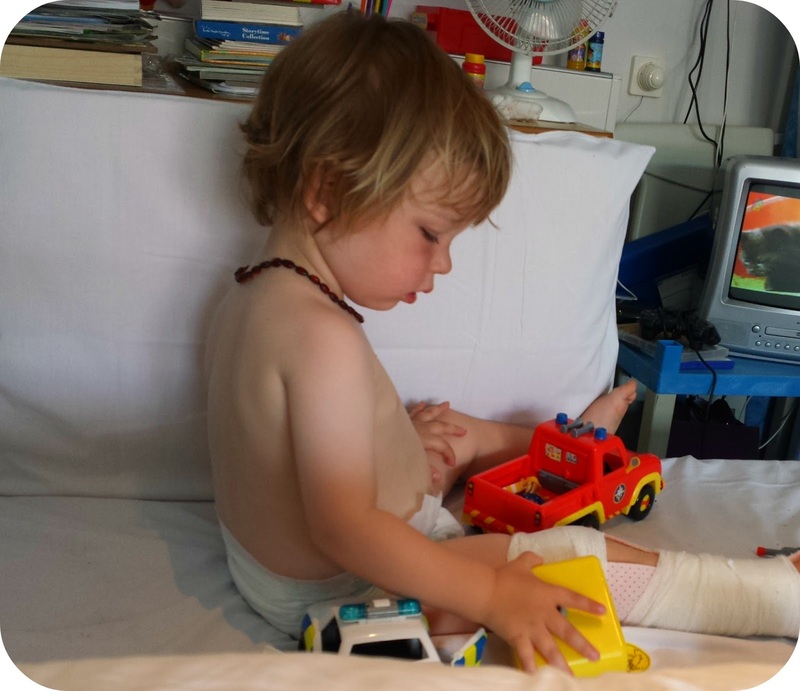 Dylan was 23 months when he broke his leg, and suddenly his cosy cot had been replaced with a hospital bed, plastic sheets and open sides. 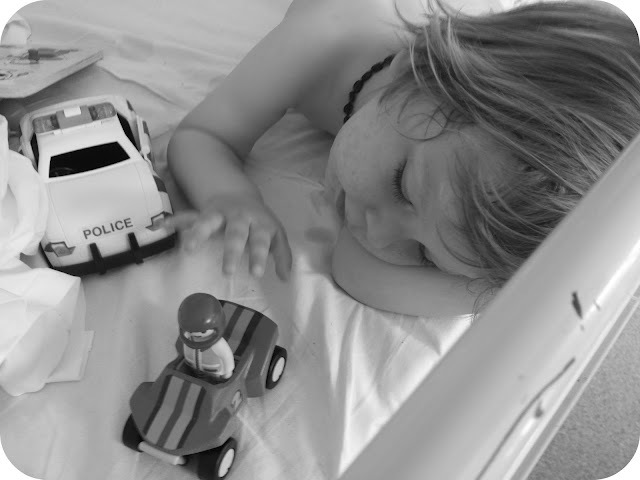 It was important to make his new bed (which he would be spending the next few weeks tied to) as comfy as possible, and so I brought in his teddies that usually live in his cot, as well as a pillow from home that would be a lot less sweaty than the plastic hospital editions. 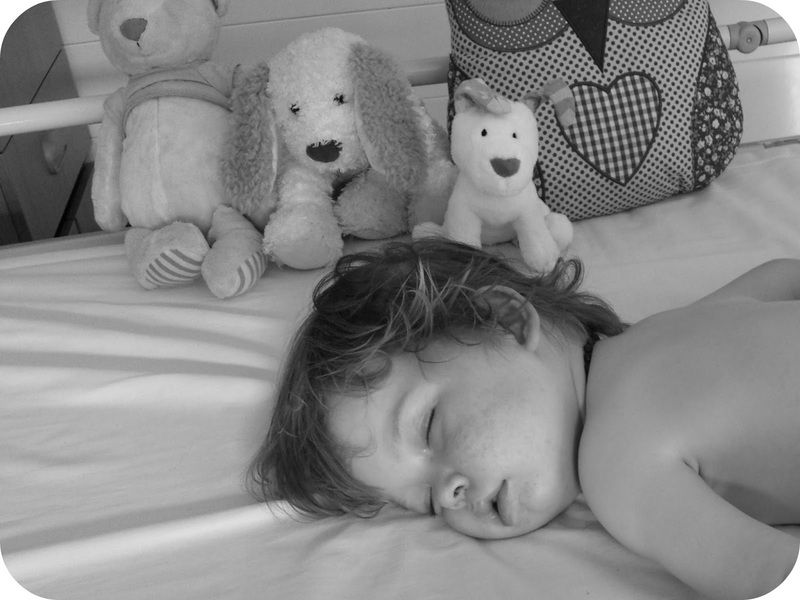 Despite the home comforts, it was still a new environment and one that I was worried would ruin the amazing sleep routine we had at home. We were sent a Tranquil Turtle and it was priceless for calming Dylan down at the end of the day. As he was confined to a bed day and night, I needed to do something to symbolise that it was now bed time and the end of play and the calming sounds and light show were perfect to lie back and watch before drifting off. Although Dylan found it too stimulating to fall asleep to, it certainly calmed him and reminded him that it was time for rest. I was rather disappointed with the snacks available in our children's ward. There was a fridge full of chocolate, biscuits and jellies, yet I often had to ask for fresh fruit as it was not readily available. 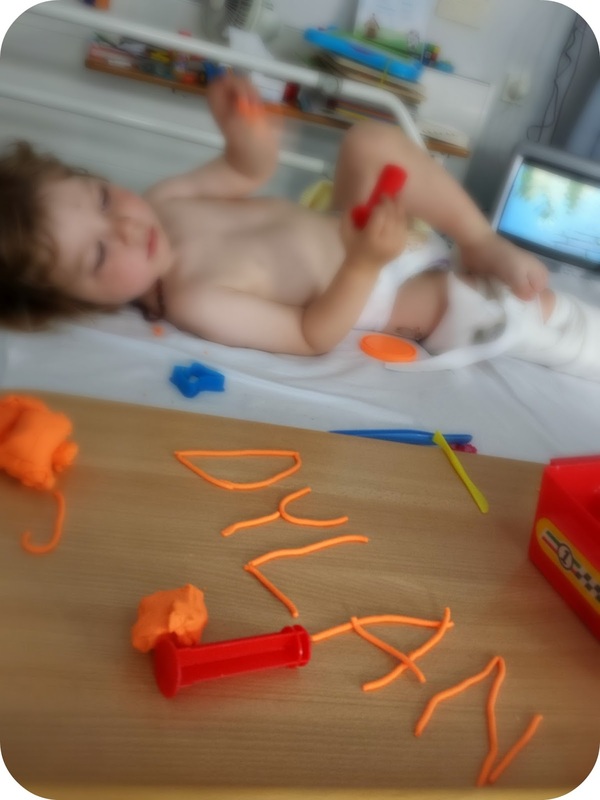 There was a small fridge in the patients kitchen though, and I often brought in yummy treats of my own for Dylan, strawberries, blueberries and pineapple are his favourites and they kept him cool and happy during the roasting hot month. We were also sent some lovely 'Bear paws' which were perfect for those tricky moments (like bed baths which he hated). They are 100% fruit with no nasties yet designed to resemble sweeties, and we were certainly not telling Dylan how healthy they were. 'Sweeties' helped us through the difficult time and I was reassured knowing that Dylan was getting another of his 5 a day at the same time. We have a stock of these at home now for treat time! The hospital had a great selection of toys in the playroom that I could borrow for the little man whenever he needed something, and having the attention span of a toddler meant I was often wandering between the two rooms finding him new things to play with. We were lucky enough to be sent some lovely things though that he could keep beside his bead and not worry that someone else had broken/lost/stolen the pieces. The GLTC sent Dylan a gorgeous wooden rocket and it is still a favourite toy now. I love traditional toys that encourage imagination and Dylan loves things that can blast off so we were both very happy! It comes as 5 parts which connect by magnets, and Dylan loves building it, taking it apart and rebuilding it. It is great quality, durable and beautiful and will definitely be one of the toys I keep for the grandchildren once he is grown. Dylan's Uncle and Aunty brought him in a fisher price police car which he was over the moon with and we were also given a wonderful Fireman Sam fire truck. Emergency vehicles are a new obsession and so these were both a big hit! Cars and trucks are easy to play with whilst stuck sitting up as he could brum them around the bed, and he enjoyed playing with the men and the little parts that came with them both . My Godmother is pretty amazing at buying gifts and she sent Dylan a fuzzy felts Hungry caterpillar which kept the little guy occupied for hours. This is perfect for children on bed rest as you can either play it on the bed or at a small table over the bed and it is reusable unlike a sticker book. We are huge Hungry Caterpillar fans and we used this to practice counting as well as naming fruits and foods. Sticker books and colouring books were also a big hit and by the end of our stay I think we had a copy of every single preschool magazine (although somehow we never got two the same!). These were great for when Dylan needed quiet time as he could flick through them alone but they also had great stories in to read together. The play specialist was lovely and she wheeled Dylan's bed into the playroom for an hour every weekday morning to play with him, giving me an hour with just Archie and a chance to go for a wander or get a hot drink. If you are in this situation and anyone offers to watch your child - do it! This was a great opportunity for both of the boys as they both got some one on one time. She also gave him other toys and bits to play with from the store cupboard, and we had some great fun with the playdough. 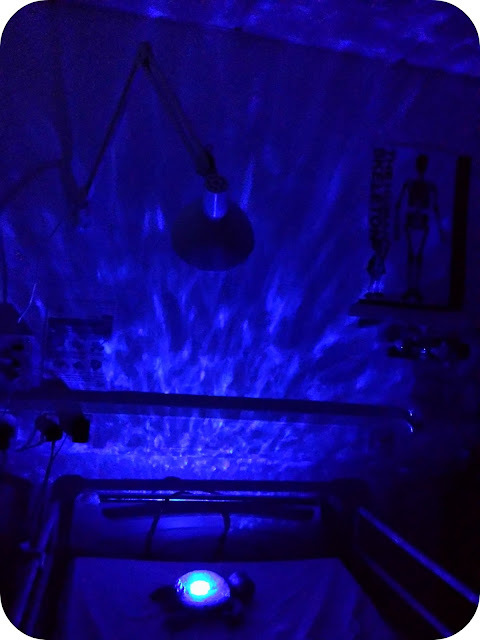 I tried to make our stay in hospital as much fun as possible and found a great idea for a game. We stuck little stickers all over my leg and used face paint crayons to play a giant game of join the dots! 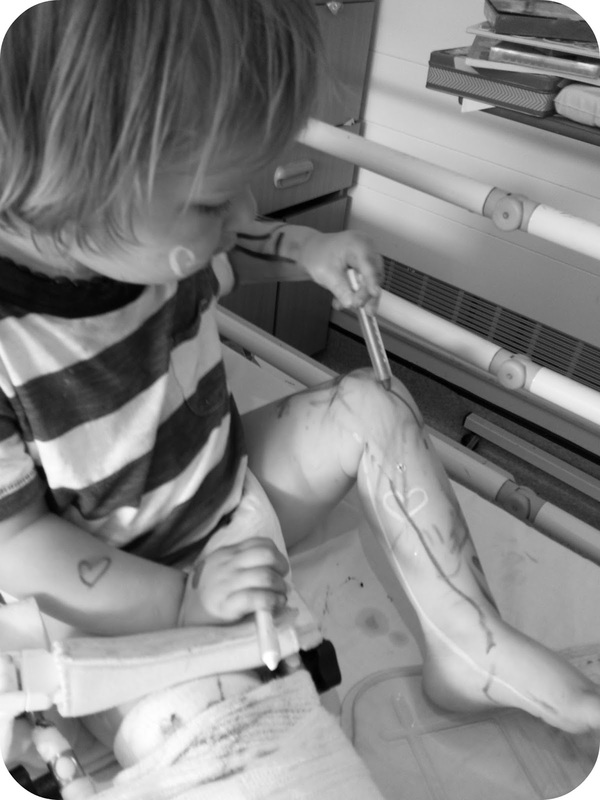 Once the fun of that had worn off, we had fun drawing all over ourselves (Dylan spent most of the hospital stay in just a nappy as it was so warm). 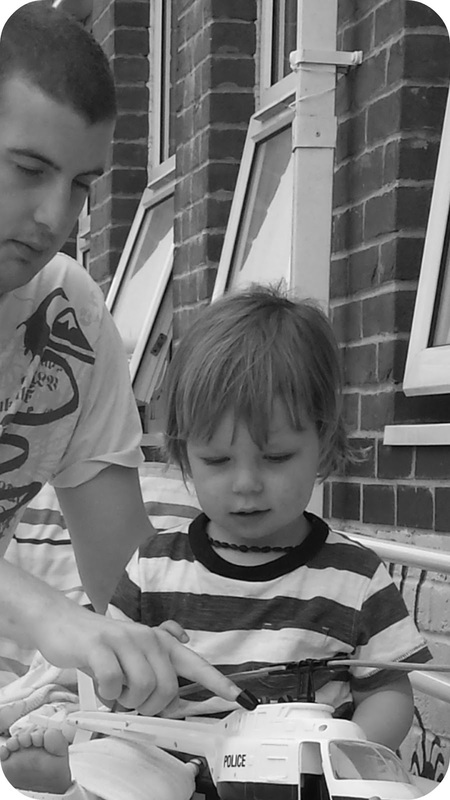 It was creative, fun and something totally different and it kept the little man very amused. The paint all came off with either a wet wipe or a wet flannel and the crayons last for ages so we have been playing this in the garden as well since we got out - paddling pool at the ready! Books were a great source of entertainment, and I splashed out on a few new ones when the Book People visited the hospital. As well as bringing in some of our favourites from home, we discovered plenty of new stories from Julia Donaldson and the Cat in the Hat series too. 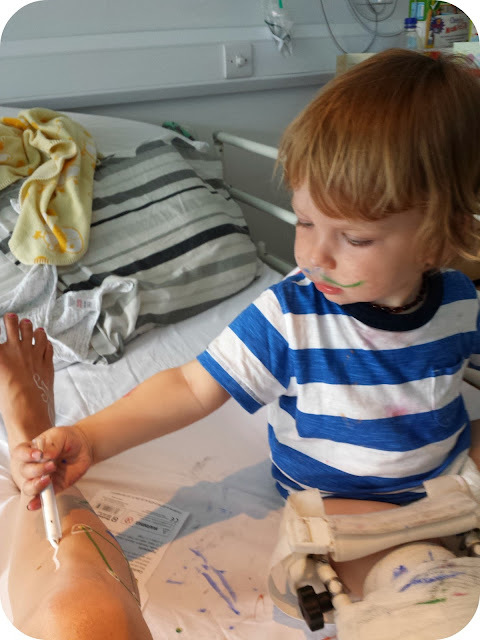 Being unable to run around and play meant we spent a lot more time talking and Dylan's language literally snowballed in the four weeks we spent in hospital. The books really helped that and he loved 'reading' them independently too. We were sent a gorgeous personalised book by Lost My Name a few weeks before, and being forced to sit still meant Dylan's attention span was long enough to appreciate it and he loved his very own personalised story and learning about Yetis! You Tube was indispensable and as well as putting on Dylan's favourite programs when we all got a little fed up, we introduced him to some old school classics too. Fun House and Teletubbies went down well and of course more than a few Rhyme Rocket and In The Night Garden episodes were played too. Dylan's favourite source of entertainment though was visitors and someone new to break up the day. Despite being stuck in bed for so long, I think he quite enjoyed the attention, being spoiled and all the lovely things we managed to do. Disclaimer: Some of the items mentioned in this post were sent to us free of charge but I was never asked to write about them. I have chosen to do so alongside other things that were gifts from family and friends and things that I bought myself. All thoughts and opinions are completely my own. I can't imagine keeping Squeaky still for a day, never mind 4 weeks. Poor little man, what a summer to miss. The face paints idea is a great one - worth a try for everyone I think. What an awful situation for you and your family to be in. You really did an amazing job in a tough situation. Meg was in hospital for two days at the start of the summer and that was challenging enough, I take my hat off to you! It looks like Dylan had lots to keep him occupied though, the face painting crayons look brilliant. Amazing post, full of great ideas. I'd be so lost if that happened to us - you are an amazing mum! Aww bless, sounds like you did a great job of keeping him entertained.